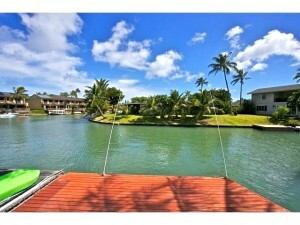 Hawaii Kai Homes for Sale - Real Estate in Hawaii Kai | Locations LLC. 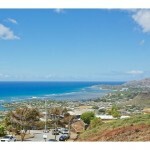 Hawaii Kai real estate: One of the Best Neighborhoods for Families on Oahu. Located in on the south eastern side of the island of Oahu, Hawaii Kai is well-established as a residential, family-oriented neighborhood, with the vast majority of families comfortably situated in the middle- to upper-class community. The neighborhood is not just for the well-to-do, there are many young families that make Hawaii Kai their lovely home. Hawaii Kai is one of the closest family-friendly neighborhoods to downtown Honolulu, where the majority of people work. 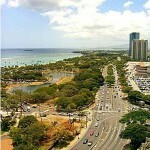 A typical rush hour commute along the Kalanianaole Highway should bring you to downtown Honolulu in about 40 to 50 minutes. The commute is much faster, about 15-20 minutes during off-peak hours. Although the commute can be a long one, many folks overlook this in order to live in one of the best communities on the island. Buyers and renters have their pick: There are magnificent single-family homes, condominiums, and townhouses to choose from. Buyers looking for 3-bedroom, 2-bathroom single-family houses and townhouses can expect home prices to range from $680,000 on the low end to millions on the high end, depending on the size of the home. While inventory can appear to be quite low at times, there is usually a good assortment of hidden gems within the neighborhood. Fixer-upper single-family houses can be the right choice for budget-conscious buyers looking for a project. There’s plenty of family activities around Hawaii Kai, making it an ideal location for settling down. Enjoy a day on Hawaii’s beaches where beach access is easy and public, beaches are clean, and its waters are generally calm. For example, Sandy Beach is a picturesque beach park barely a mile away from Kalama Valley, a residential area within Hawaii Kai. The beach is quiet, great for body surfing, and rarely overrun with tourists. You can explore easy hikes in and around the neighborhood as state parks and forests are well-maintained. There’s also the Queen’s Gate Golf Course for world-class golfing, Makapuʻu Lighthouse for an easy hike and beach access, Koko Crater Botanical Garden for viewing gorgeous flora from around the globe, and Hanauma Bay for excellent snorkeling. 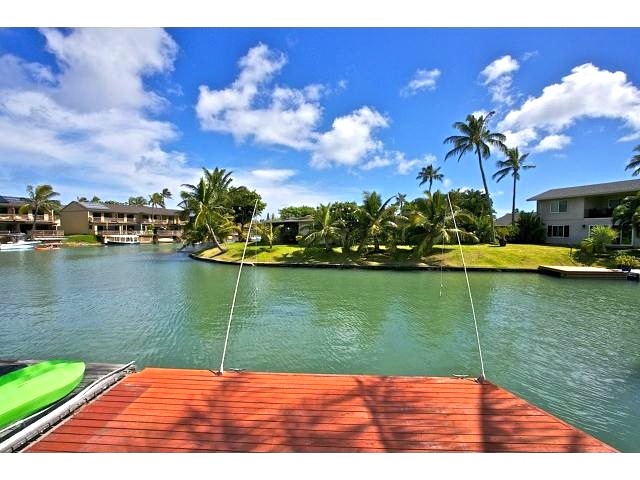 As you can see, Hawaii Kai is, without hesitation, one of the best neighborhoods for a family. The location and activities in and around Hawaii Kai make it a fabulous neighborhood for your future home. Charming home situated in Kamiloiki. Freshly painted interior & exterior. New carpeting & appliances. First open & showing Sun….